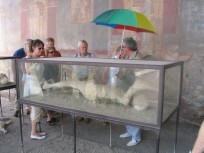 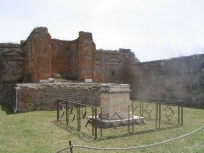 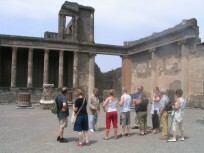 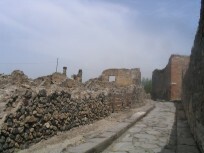 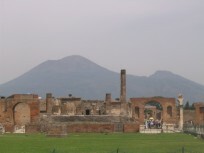 Pick-up at the hotel at 10:00 and drive to Pompeii, Visit of the excavations where the tour guide will show the most fascinating places like The Forum, Thermal Baths, Vetti’s house and "Lupanare" burnt by volcanic ashes and lapilli during the eruption in 79 A.D. 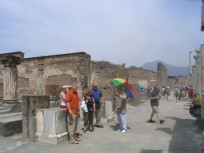 Lunch including pizza and drink. 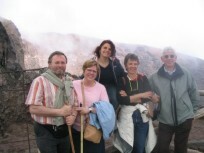 Transfer to Torre del Greco passing through Vesuvius National Park until 1000 mt. 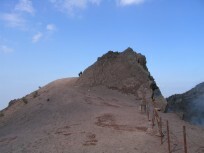 From the parking place slope to the top of the only still active volcano of continental Europe. 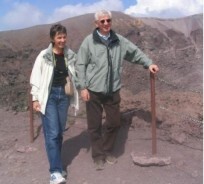 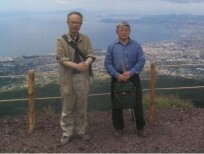 Walk around the crater at 1200 mt to see the charming bay of Naples from eastern to western side. 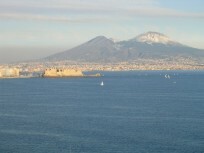 Return to Naples and drop off at the hotel at around 5:00 p.m.